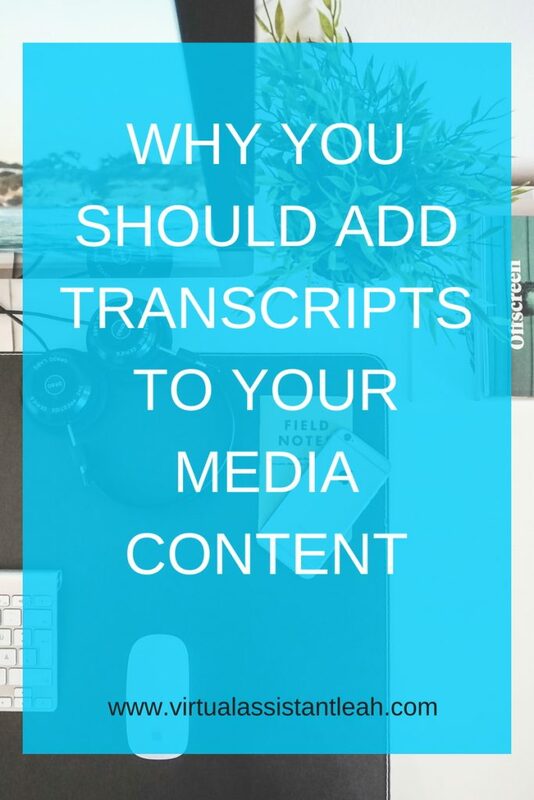 Having transcripts for your media content provides several benefits for you and your followers. It’s helpful and people will be pleased that there is another way to access your content that they’re interested in learning from and are more likely to stay and join your email list or share your content. It can even give your SEO a boost resulting in more traffic and better rankings in search engines. Not everyone prefers to access media content on the web the same way as everyone else for various reasons. Some people are more of a visual learner than an auditory learner, some are hard of hearing, and some might not have the device or software to access your media content. That’s why it’s helpful and useful to have transcripts or closed captioning for your videos, podcasts, and courses you may be offering. There is more than one way in which a person can learn something, different learning styles, but I won’t go into detail on that. Maybe I’ll make a post on different learning styles in the future but for now, this is about the benefits of having transcripts. Some people prefer to learn by reading and looking at diagrams, some watch videos that show a detailed step by step process of the subject, some listen to podcasts, and some like to learn by DIY. You can also add transcripts in other languages as well to help your readers who are from different parts of the world. You need to remember that there are those with hearing impairment and that you’ll need to provide another way for them to access your content. Videos and podcasts are becoming more popular these days but sometimes they don’t have transcripts or closed captioning with them which can be frustrating not being able to hear what the speaker is saying. Improve your search engine rankings and bring more traffic to your website. Another reason to have transcripts is that it can also improve your SEO (search engine optimization) which can help improve your rankings in search engines and bring more traffic to your website. Search engine crawlers have difficulty indexing media content to their databases because they cannot see or hear as humans do. They won’t be able to understand what the content is about and will either ignore it or devalue it on the web. Having transcripts will make it easier for search engine crawlers to index your content when it’s in HTML format. This will give your SEO a boost in your rankings to get you closer to the first page where the most relevant websites are listed first. This is what you want to aim for with SEO to get more traffic to your blog or website. There are many benefits of having transcripts for your media content, for both you and your followers. You can create transcripts yourself or hire someone to create them for you. 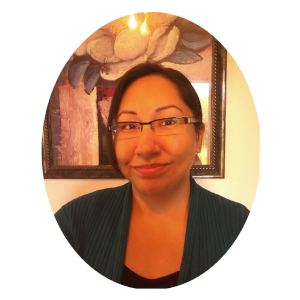 Creating transcripts is a time-consuming task and is not as easy as it sounds (I’ve tried it). It’s not just typing what you hear but using proper grammar and punctuation. By the way, what is your learning style? Personally, I prefer to read and look at diagrams, and other times I like to diy to try things myself.